British scientists have said today that a new expert body should be formed to regulate experiments mixing animal and human DNA to make sure no medical or ethical boundaries are crossed. In a new report scientists at the Academy of Medical Sciences are claiming that a new advisory group should be set up under the auspices of the Home Office to advise whether certain tests on animals that use human DNA should be pursued. The government has said it will consider the recommendations. According to news reports, last year, more than one million experiments were carried out on genetically modified animals – mostly mice and fish carrying human DNA. These ‘transgenic’ laboratory animals are used to develop new drugs for diseases such as cancer and Alzheimer’s, or to investigate the role of individual genes. Researchers also create humanised animals by inserting human stem cells into animal embryos. These ‘chimeras’ are used to shed light on conditions such as stroke, hepatitis and cancer. Much research in this area raises few ethical or legal concerns and has already been with us for years. Goats carrying human genes have been used for example to produce human blood clotting factors to treat people with bleeding disorders and bacteria with implanted human DNA have been used to produce insulin to treat people with diabetes. Mice modified to carry human genes are widely used to study diseases including cancer, heart disease, osteoporosis and anxiety. Mice implanted with pieces of human tumours are used to test cancer drugs. Using an animal as a biological factory to produce human proteins or as a living laboratory to examine the behaviour of human cancer cells is one thing. Such research is limited in scope and has a specific human benefit in mind. But enhancing an animal with uniquely human characteristics in order to produce a new trans-species organism for other purposes is something altogether different. So what concerns should we have about this new development? First is the composition of the committee. Virtually all, with the exception of theologian Michael Banner and ethicist John Harris are research scientists. Scientists regulating scientists is worrying because scientists are generally not experts in theology, philosophy and ethics and they often have ideological or financial vested interests in their research. Moreover they do not like to have restrictions placed on their work. We have tighter regulation of the banking industry and medical profession now because we do not trust that groups professionals are fully capable of regulating themselves. 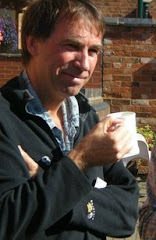 Second is the presence of John Harris as the advisory ethicist. Harris is regarded by many as an extremist given his support for infanticide for disabled children. Any ethical guidelines coming from Harris are likely to be liberal and permissive. Third is the way these recommendations have been announced. The report we are told has taken two years to produce but I suspect that very few members of the public even know that it was being written. And it has been released by a group of scientists at a secret meeting attended only by journalists and from which other stakeholders were deliberately excluded. From what has been written this morning most people will have very little idea about its contents as most busy science journalists will have taken the (carefully spun) press release produced by the group more or less at face value. Fourth are the vested interests of the biotechnology industry. Much research in this area will be funded by biotechnology companies who will be interested primarily in profits for shareholders and will be less concerned about crossing ethical boundaries. One can be sure that they will be watching these developments very closely behind the scenes if not actually pulling significant strings. Fifth is the track record of members of this group. In the lead up to the Human Fertilisation and Embryology Bill in 2008 former Liberal Democrat MP Evan Harris and others coordinated an alliance of biotechnology companies, patient interest groups, research scientists and the science media group to make the case for legalising animal human hybrid embryos. In a high level campaign led by Mark Henderson, science journalist at the Times newspaper, the government was brought on board and then Prime Minister Gordon Brown told parliament that research involving hybrid embryos would lead to millions of lives being saved. The whole operation was carefully stage-managed to bring the British public on board and to sideline any credible opposition but animal-human hybrid embryos are now largely a farcical footnote in history. Sixth, the group already regard as ethical things that many members of the public either reject or have severe misgivings about. Animal human hybrid embryos for stem cell research and three parent embryos for research into mitochondrial disease are two examples. So where are they actually going to draw the lines? Finally, the examples the group has given about what should not be permitted are extreme. They suggest, for example, that injecting human stem cells into the brains of primates if it ‘engenders human-like behaviour’ should be banned outright. The Daily Mail is predictably already talking about gun-toting gorillas, apes with human-like memories or a new ‘planet of the apes’ complete with chimpanzees with the ability to speak. But my concerns are about what might be being slipped in under the radar. Giving extreme examples can be a clever way of creating an illusion of self-regulation in order to move the boundaries of what is ethically acceptable. In other words if you make it clear you are not asking for a mile then you may reassure people enough to smuggle several hundred yards whilst no one is looking. It is not unreasonable to suggest that an expert advisory committee be set up to monitor these developments. We need that at very least. But the real questions will be around the terms of reference and regulation of that committee. Who will be on it? How will they be selected? How will its activities be scrutinised? What primary parliamentary legislation and regulations will be put in place to ensure that it doesn’t simply become a vehicle driven by scientists who don’t want restrictions on their freedom, biotechnology companies who want to make money and desperate patient interest groups which are tempted to cross ethical boundaries to find cures? These are important questions that need answering. As a furry, I don't care about whether or not research will cure humans - I want to know where our human-animal hybrids are! When will we be able to create animals with the ability to walk, talk and think as we do? Mark my words: If scientists in the UK do not do the necessary research, we will find others who will. IF they are not done here, they will simply be done elsewhere such as Africa or China. It best be done in controlled conditions here than in a Communist and militaristic government in eastern Europe. God created humans in His image -and gave them a spirit. God created animals according to their 'kind' and inter-species breeding is forbidden. If God will not give these human/animal hybrids a spirit-where will they get one from? Noah's flood was,in part,precipitated by angelic/human inter-breeding of demonoid 'Nephilim'(Genesis 6). This story also warns us that God will Judge the world if the boundaries of His moral absolutes are crossed;it is only a matter of time...so my advice is: 'get in the ark (Christ! (See Matt 24-AS in the Days of Noah).